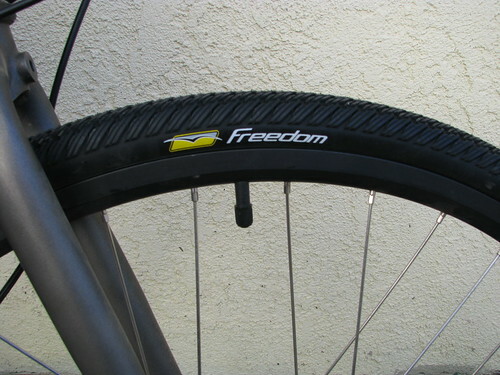 So a lot of us commuter types end up riding road (ish) bikes with road (ish) tires. 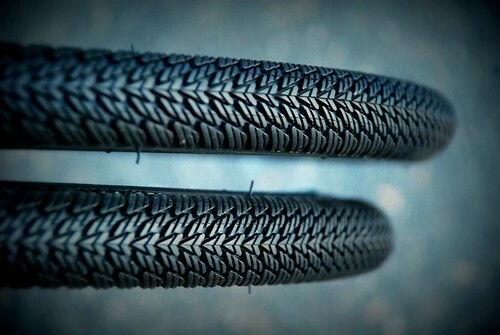 Unfortunately, this often means we end up using road tires meant for racer folks, not commuting folks! While they’re not the only players in the game, Continental definitely brings a good solution to market with the Super Sport Plus tires we’ve had on long-term test. They’re equipped with an anti-puncture belt, which according to Continental is “Nearly impenetrable.” The Super Sport Plusses (henceforward referred to by me as SSPs) have just enough tread to lend a bit more confidence on the slightly-sketchy stuff (for super-sketchy stuff you’d be better off with something like this, or possibly this!). The SSPs also come with extra-thick tread – something us commuters can appreciate (because hey, tires can get expensive!). 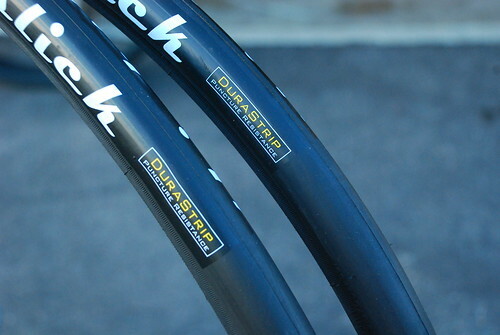 My set was 700×25; they also come in 700×23 and even some 27 inch sizes for those of you riding what I’ll call… “classic”… bikes. So how do they ride? Well, I mounted them up to my old Bridgestone single speed to test them out, and the verdict was… Smooooth. Also pretty fast for a tire that isn’t that lightweight (no I didn’t weigh them, who do you think I am?). Riding unloaded, I was able to maintain pretty respectable speeds over the course of an hour or two. Recommended inflation on the 700×25 size was 95-120 PSI, but I found 90-95 was the sweet spot for me. In terms of wet – they work well there too. No real sense of lost grip (though I’ll warn that might change with the narrower sizes – it’s hard to tell what was because of the tire and what was because of the tire size). I would recommend against snow though (sorry E, they’re not gonna be your Chicago winter tires!). The verdict on flat protection? Well, it’s always hard to prove a negative… I didn’t get any flats on these! I’m not usually riding any glass or tack-studded roads though, so it’s hard to say. I did hit one sharp-edged bump at about 20mph… so I CAN say at a minimum that they don’t pinch flat easily! Street price for these babies seems to average around $30/tire, though there are a few deals out there depending on which version you’re after. My verdict? Worth the money. 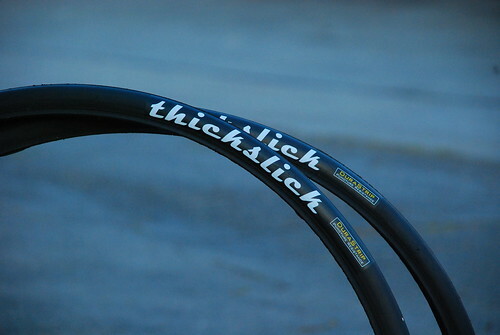 You won’t find a heck of a lot that’s much cheaper, and knowing that you’ve got quality tires under you is worth quite a bit. Please click here to read our review disclaimer as required by the Federal Trade Commission. Marcus of WTB Freedom took the time to show us the new products for 2012. I’m digging the white Thickslick! I got a quick ride on carpeted show floor, so I really can’t tell you how they “feel” in real-world conditions. But, with a little luck, we’ll get a sample to test in the coming weeks. I know what you’re thinking: “hasn’t this been tried before by dozens of other companies?” Perhaps, but this is a different technology and one I hope is valid. Initial indications are pretty amazing, though. Where do I start? Yesterday I replaced the stock tires on the Torker Graduate and went for spin down the Southern California Coast. 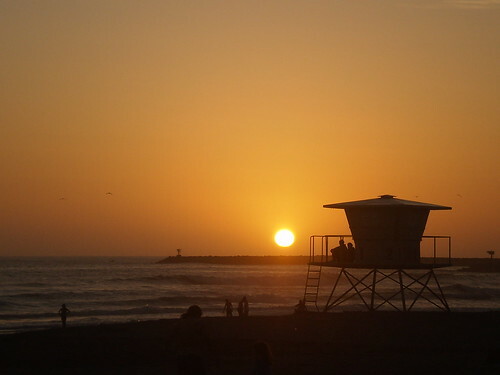 My spin turned out to be 45 miles ending at Oceanside California; this has a lot to do with the Freedom Ryder tires, they were trouble free and allowed me to keep rolling until my legs were fried. With 80 psi in the tires I thought it would be a rough ride. It was not and yet still very grippy in the loose stuff. 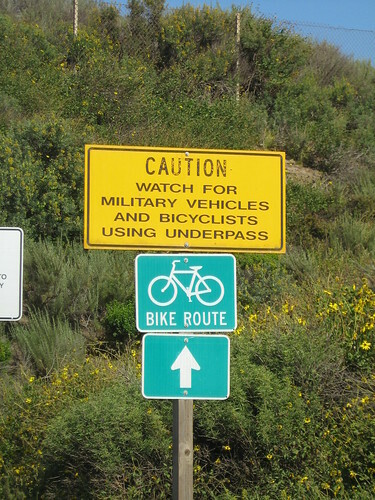 The miles just kept clicking off; part of the ride was though Camp Pendleton Marine Base. 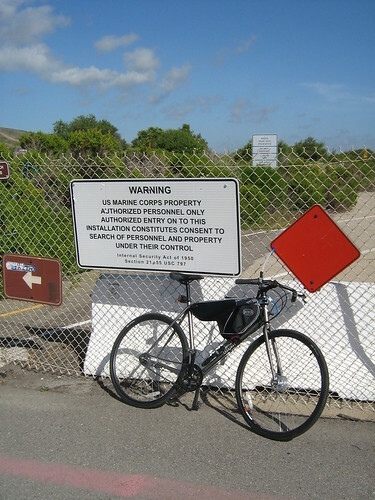 The bike path on the base can be rough at times and can flat a tire with ease — the tires held up great over slab cracks and gravel. 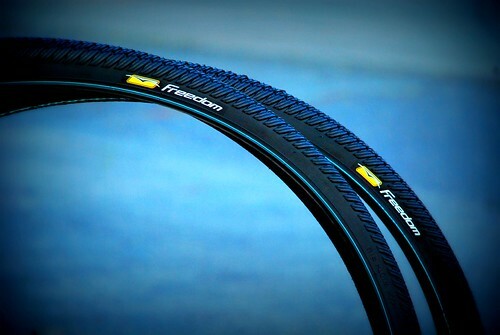 We recently took delivery of 2 sets of tires from Freedom Bicycle, a WTB company. We’ll be testing these tires and report back on the results. les-vitraux-de-caro.com on The struggling cyclist.